Pictured above, left to right: Sam Booher, Associate Counsel Eastman Credit Union & KOSBE Advisory Council Chairman; Jessica Goodman, H2O Pruf; Anthony Pasquale, Insight Polymers & Compounding; Robert Sheffey, Rowan Tree Care; Aundrea Wilcox, KOSBE Executive Director; Keddrain Bowen, Fanatics 101; City of Kingsport Mayor John Clark; Aditi Bhave, KOSBE Administrative & Project Coordinator; Cristin Yeary, Masters Touch Salon & Spa; Angela Braan, Cassia's Salon & Spa; Twana Taylor, Taylor's Martial Arts Academy; Jenna Tamayo, Appalachian Maid Services. We know the challenges involved in starting your own business: balancing the books, retaining employees, and getting plugged into the community. When you’re ready to take the leap, we’re here to help you navigate your way through all of those challenges. 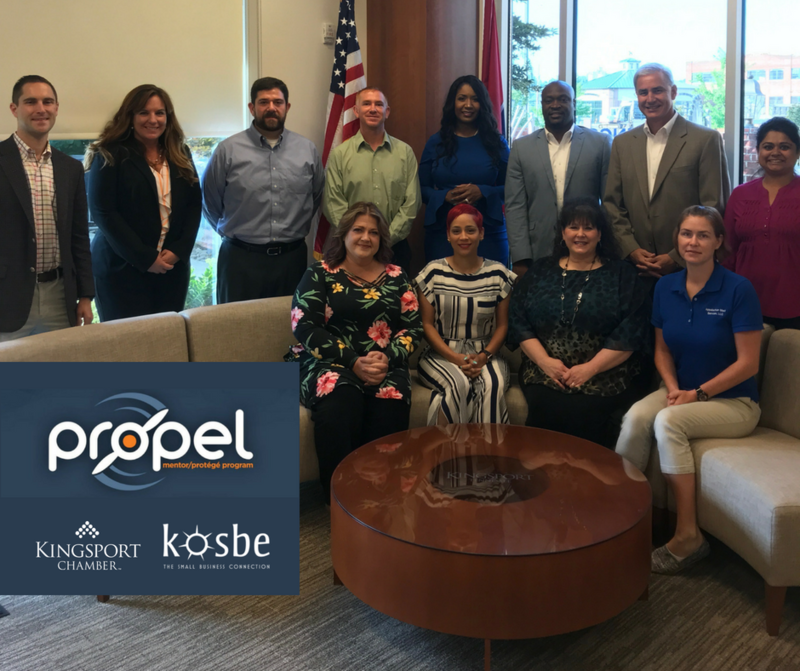 The Propel program is a one-of-its-kind opportunity designed for woman-, veteran-, and minority-owned small businesses and disadvantaged businesses including rural, economic, or social disadvantage. The Propel program provides you with one-on-one assistance to help you grow your business, and teams you up with a mentor (an established community business leader) and exclusive mastermind group. Propel has a track record of success in Tennessee, starting with the Knoxville Chamber in 2008. Since then, the program has graduated 26 total Protege Graduates and has helped start new businesses and drawn an economic impact of over $60 million to the community. This is a two-year program for a select, small mastermind group. There are 10 scholarships available (for 5 urban firms and 5 rural firms) valued at up to $1,000 each per year covering the total cost of the program. This program is funded through a grant from the State of Tennessee's "LIFTTN" initiative in partnership with the Knoxville Chamber's Propel Mentor/Protege Program. which is sponsored and facilitated by Tennessee Small Business Development Center at East Tennessee State University. Each participant will get a complete kit and work on their own individual action plan and growth plan for their particular business. 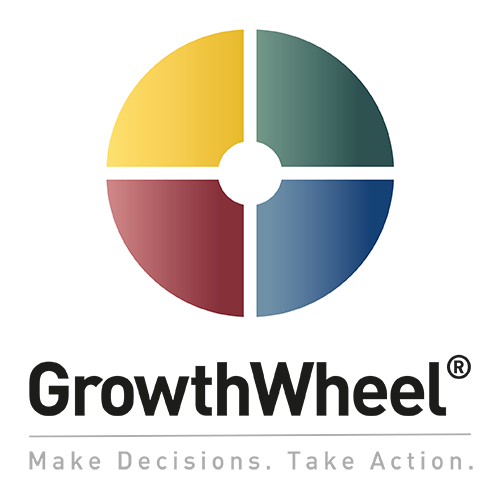 All participants must attend the first kick-off session, and complete a GrowthWheel® 360° Screening about their business and a personality profile, to help us match them with a mentor. Subsequently, participants complete a boot camp which will meet regularly once a week for four weeks. After the boot camp, participants will attend an exclusive Propel Mentor/Protege mastermind group at least once a month. Occasionally, there will be a guest speaker presenting on the subject matter that is being covered, and simultaneous webcam conferencing with the Propel cohort in Knoxville. Participants will also be invited to join the private Facebook Group: Propel Proteges with 89 members who are past and present proteges and mentors. Dates will be set in advance, and if you are unable to attend a mastermind group in person, an online mastermind group make-up option will be available to you. Participants will also be assigned a mentor, from the KOSBE Advisory Council, and required to meet with them once a month, at a time and place that is convenient for both.